On Sunday, the Lilywhites make the short trip across town to take on Premier League strugglers Fulham. On paper, the match looks like the perfect opportunity to get back to winning ways after Manchester United inflicted Tottenham’s sixth defeat of the season over last weekend. That loss meant the Red Devils closed the gap on Spurs to seven points and although that is still a solid margin, it does leave Pochettino’s men nine-points behind pace setters Liverpool. 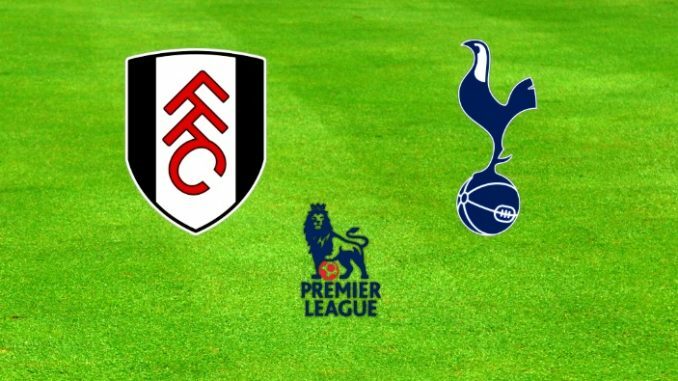 All the more important then, to ensure victory over relegation Fulham this weekend, however, the Lilywhites will need to be wary as they head to the banks of the Thames as the Cottagers do pose an ace or two up their sleeves. The pair come into the game at opposite ends of the league table with Tottenham in third and Fulham in nineteenth and five points adrift of safety. Claudio Ranieri took over the Cottagers on the 14th November after former manager Slavisa Jokanovic received his marching orders despite guiding the club to promotion via the playoffs last season. Since then, Ranieri has picked up nine points from his ten Premier League games to date but that has not been good enough to see his side out of trouble. Fulham are the only side to fail to win on the road this season which makes them more dangerous at home. Remarkably, 86% of Fulham’s 14-points acquired this season has come at the Cottage with three wins and three draws from their ten home games prior to the visit of Spurs. However, Fulham have only beaten Spurs once in their last 12 Premier League encounters and not at Craven Cottage since November 2008 (They did record a 4-0 win over Spurs in January 2011 at the Cottage but that was in the FA Cup). An Ace Up Their Sleeve? Despite their poor league position, there is undoubtedly plenty of individual quality within the Fulham squad. The summer acquisitions of Andre Schurrle, Calum Chambers, and Jean Michaël Seri were hailed as marvel signings at the time, and although they are yet to hit any real note of tune, there is always the danger that the sudden spark could appear at any time (especially with the Tinkerman in charge). The most significant threat comes from former Newcastle hitman Aleksandar Mitrović. The Serbian striker was on loan for the second part of last season at Fulham and made the move permanent in the summer and has been a big hit. In 39 league games for the Cottagers, Mitrović has netted 20 goals including 8 in the Premier League this season. It is clear that the trip to the Cottage will be no gentle afternoon stroll by the river, however, it is undeniable that there is a gap in quality in favour of the Lilywhites. Ranieri has a squad that is still trying to find its shape, but time is running out and Tottenham need to win. And win they will, the last two Premier League results between the two has seen a 3-1 scoreline in favour of Tottenham and once again that looks like a smart prediction for this contest.